Use coupl alone or transform it into a highly efficient shuttle by combining it with escalators and other elevators like TWIN. Its flexible cabin dimensions and space-saving shaft configuration give you even more options. Double the capacity for double the efficiency. 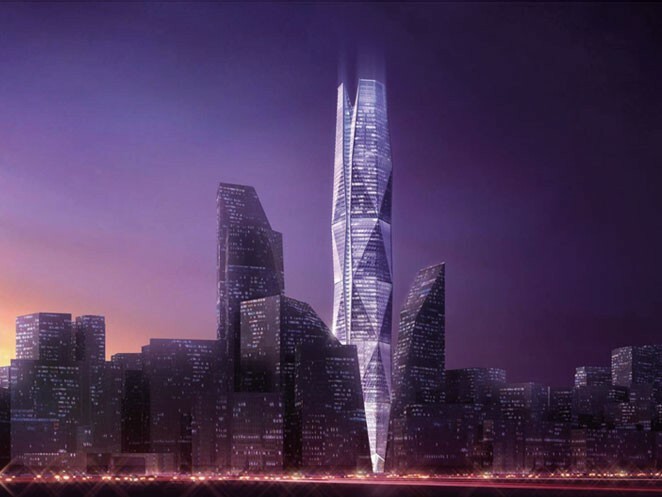 That’s what you get with our groundbreaking coupl elevator, along with enhanced passenger flow and loading. coupl easily and smoothly handles up to 52 passengers per run. Now your tenants and guests can get where they need to go fast. coupl reaches speeds of up to 10 metres per second thanks to our state-of-the-art drive technology. 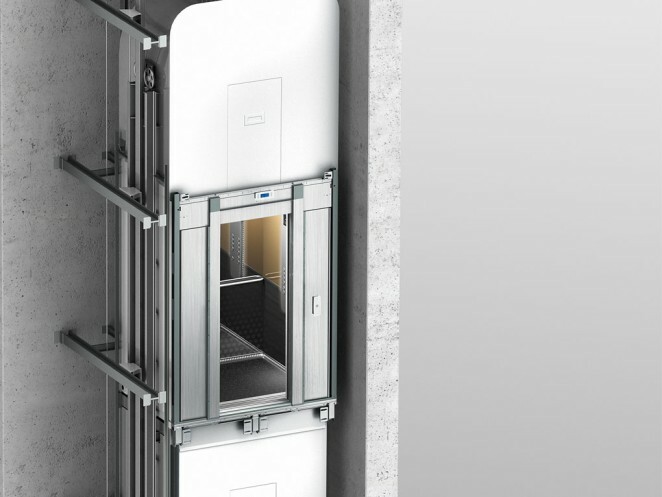 Looking to boost lift capacity and speed in your high-rise buildings of up to 500 metres? Look no further. 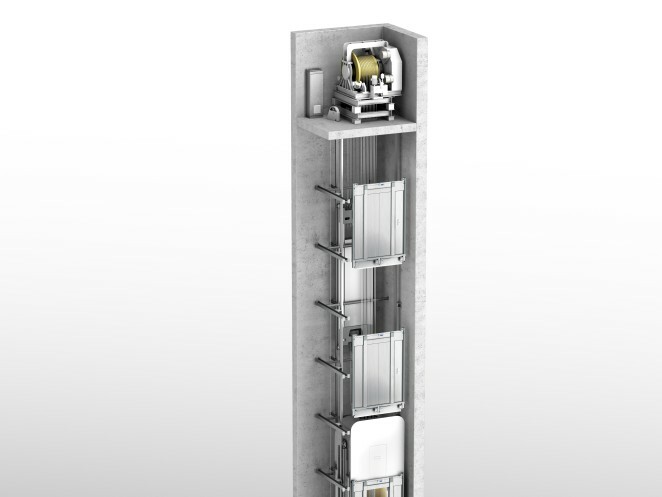 coupl is our new double-cabin express lift elevator that equips your building with high-conveyance capacity. Two cars permanently connected, one above the other, transport up to 26 passengers per cabin from your foyer to defined landings such as sky lobbies. And it’s fast, travelling up to 10 metres per second with minimal stops along the way. 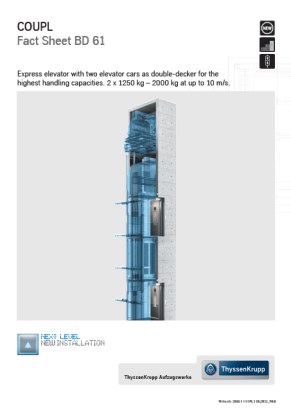 Get coupl as an elevator group with up to eight cabins. Or combine it with other lifts and escalators to create a shuttle that loads both cabins simultaneously to optimise passenger flow. For maximum efficiency, use coupl to whisk passengers on and off at main landing levels that are connected by escalators. coupl. Life in the fast lane. Passengers enjoy an ultra-smooth ride thanks to optimised roller guides and a high-precision guide rail system. Opt for software-driven active roller guides to pamper passengers even more. coupl’s aerodynamic design reduces air resistance and wind noise for exceptional comfort even at speeds of more than 25 km/h (up to the maximum speed of 36 km/h). coupl’s active frequency converters generate power during braking to lower both energy consumption and costs. A high-performance drive, along with balanced mounting for optimal building separation, is your guarantee of an extremely smooth and quiet ride. Opting to integrate Destination Selection Control (DSC) on the landings as opposed to inside the cabin cuts waiting times and boosts your system’s efficiency.